All the public statements made by Scottish Football League sides in their own words. Charles Green's "newco Rangers" will find out on Friday, July 13 whether or not they will be granted a place in the Scottish Football League for the 2012/13 season. Current clubs will be given the vote on whether to allow the team into the league, as well as deciding whether to allow the Ibrox side straight into the First Division, in exchange for compromise with the Scottish Premier League on league reconstruction. Several teams in the SFL's three divisions have already stated their objection to allowing a newco to play in Scotland’s second tier. A majority vote is needed to admit the newco into the SFL into the league setup, with vacancies normally seeing new teams enter at the Third Division stage. The stances of SFL clubs should not be taken as a guaranteed list of how they will vote on July 13. With the league's board attempting to negotiate a compromise agreement with the SPL, the positions of many clubs could change before they are asked to cast their vote. This page will be updated as more clubs make their positions known. (#) depending on conditions over league restructuring being met. Information is up-to-date up until the time and date given at the top of this article. Board statement: “If integrity in our game is to survive, then Rangers must start off SFL life in the Third Division. "This is an SPL problem but the Clubs of that league have taken their decision for reasons which they must explain to all Scottish football supporters. Donald Findlay, chairman: “Speaking for myself, and myself alone, it is clear to me that people at the highest levels of our game have tried to hold a gun to my head and the heads of my colleagues. That will never work. John Yorkston, chairman: "I can now confirm for the avoidance of any doubt that our position has not changed following yesterday's meeting and this is, we will continue to vote no to "Newco" being parachuted into SFL1. "As a club we have listened to our supporters and we will continue to fully respect their opinion. A board statement read: "After hearing arguments on both sides, a clear majority of those voting (55 to 28) reluctantly felt that admitting the Newco into the First Division would be the better option for Scottish football and smaller clubs as a whole – though no-one was happy with the situation other clubs have been put in. "There was shared anger at the situation that has been created by the Rangers debacle and a commitment to future reform to put the game in Scotland on a more equitable and sustainable footing in future. Martin Ritchie, chairman: “The Club’s position remains as stated in our press release on Friday 22nd June which stated: “The board at Falkirk FC strongly believe the current turmoil should be a catalyst for change in Scottish Football. League reconstruction, First Division play-offs, a fairer distribution of the game’s wealth and the ending of undemocratic voting systems should be the minimum level of change. "We believe the current proposal put to the SFL clubs is limited, and has failed to address the major concerns of many SFL member clubs and their supporters. The Board believe that finding the best long term solution for Scottish Football is more important than finding a short solution to our current problems. “We believe that introducing Rangers to the First Division as proposed throws away the chance of introducing real change to our game and, in the short term, simply reduces existing First Division clubs chances of securing an automatic promotion place. We cannot therefore support the current proposal put forward by the SFL. Douglas Rae, chairman said: “Under the current SFL rules, any club making an application for membership should be admitted to the Third Division. I personally see no reason to make any exception to that at this time and would therefore vote accordingly. “I believe the current situation has presented us with an opportunity to consider and review the way forward for Scottish football, and as such it is more vital than ever to look at the 'bigger picture' and the options for change which will no doubt present themselves over the coming weeks and months. Chairman Les Gray: "As you are aware the proposal being favoured by the governing bodies is that Rangers Newco are parachuted into the Irn Bru SFL Division 1, contrary to Scottish Football League rules. “If our Governing bodies ever get round to tabling any firm proposal to vote on it is unlikely in our opinion that this proposal, in isolation, would be acceptable to the members. 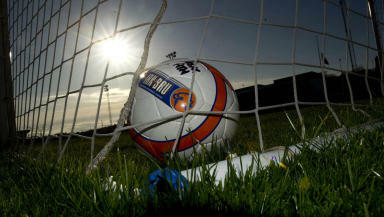 “We believe that a complete overhaul of the game is required for the good of Scottish Football. League Reconstruction, play- offs, a fairer financial distribution model and a more effective Corporate Governance are some of the major issues which require to be addressed. The current circumstances we find ourselves in have created an opportunity for these changes to be implemented." Board statement: "It is the opinion of Partick Thistle that the Scottish Football Association, the game’s governing body in Scotland, should now take ownership of this unprecedented situation. “We feel that it is not the responsibility for making a decision that will have huge ramifications throughout the game in this country to fall on any individual member, or collection of clubs of the Scottish Football League. Club statement: "The SFL should never have been placed in such an intolerable situation by the SPL and subsequently the SFA. In the view of the Board this situation has arisen, as much as anything, from failures in basic management processes at both organisations. "While we do not accept that “Armageddon” will follow if Newco Rangers are placed in SFL Division Three, it is very clear that there will be significant financial consequences for Scottish football should that be the outcome. "Our Club will suffer consequential losses directly, as it is likely that Airdrie United will be promoted to SFL Division One and our budgets for the coming season have been prepared on the basis of two matches against our local rivals. "These two matches account for around 8% of the club’s total income.Should that happen the Club will consider every avenue for recompense as we are not prepared to be financially disadvantaged by a situation which is not of our making. Chairman Mike Mulraney: "As we previously advised in our first statement, we would do what we believed was in the best interest of Alloa FC, Scottish Football and sporting integrity. Fortunately we believe that the best interests of all three are mutual. Chairman Mike Mulraney: “We will not be bullied into a decision by any outside influences, but will act in the best interest of Alloa first and Scottish football second. Sporting integrity will of course weigh heavily in any decision we make. “We will continue to assess this situation as it changes as we believe there are very likely a number of variables which could become apparent before the vote next week. Board statement: "After considerable and careful deliberation, that had also taken place over many previous meetings, the Club reached the decision that it cannot support a proposal for Rangers Newco to be directly admitted to Division 1 of the Scottish Football League and that sporting integrity must be upheld. Board statement: “The board of Arbroath Football Club will be making no public comment at this stage on the current crisis in Scottish football. “The Chairman and Secretary attended the meeting of all 30 clubs at Hampden on July 3 when much information was provided for clubs to take back to their boards for consideration. Lachlan Cameron: "We will vote yes to allowing Newco Rangers into the SFL as an associate member and agree to permit Rangers F.C. to play in the league 2012/13. The logic behind this is that they have the facilities and fan base that the league is looking for. The fact that it could go against the rule book is a question for the SFL and not us. Chairman Sid Collumbine: "East Fife FC want to make clear our views on the current “Newco” situation as it relates to SFL membership. We have taken into account the views of over 500 of our supporters who responded to our survey. "We retain an open mind on the subject of league reconstruction, and will carefully consider any proposal put to us in this regard. Club statement: “These proposals will be discussed at what was a scheduled board meeting on Monday evening and in all probability at a further meeting later in the week following receipt of further information likely to be provided on what is a very fluid situation by the footballing authorities. Only then will our representative at the meeting be instructed how to cast his vote. Board statement: “The club are unhappy at being dropped into this position and do not, yet, feel they are in possession of the full facts to allow them to make a final decision. “The club are well aware of the strong opinion of the fans and have read all the comments, emails etc sent to the club and fans should rest assured that they are being listened to. Board statement: "In this situation and having considered the consequences for the club primarily, but also that of the many other clubs who would suffer significantly, we will support Rangers Newco joining the SFL on the strict proviso that the various elements of restructuring and merging of the league are agreed to our satisfaction. Henry McLelland, chairman: "The SPL are threatening that, without Rangers in Division One, the money would be withdrawn - because they can't afford to pay. "The SFL accounts show that that money is almost the total money that's distributed to the clubs throughout the season. "Annan would get around £60,000 that could disappear. But, if that's the case then as a club they will deal with it by cutting their cloth accordingly. Club spokesperson: "Berwick Rangers' Board tonight agreed unanimously that should the new Rangers FC be admitted to the SFL for the new season, that they would support a move directly into SFL Division Three. Berwick Rangers Supporters Trust: A consultation of members resulted in the following vote. Board statement: "As a club owned by its supporters and recovering from having been on the brink of extinction, the Board of Clyde Football Club recognise the damage done to the credibility of Rangers Football Club by its successive owners, and the subsequent impact on staff and supporters. These proposals do nothing to restore that credibility. "It is not for us to become involved in punishment, that is a matter for the SPL and SFA. The SFL clubs are being asked to change their rules so that the SPL and SFA can apply sanctions that fit short term financial interests. "It is not for us to tell any club what they should want for themselves, but to enter anywhere other than the 3rd Division risks Rangers Football Club being burdened with the legacy of commencing its rebuilding in a manner that they later look back on with regret. The club is yet to make public comment on the issue. Board statement: "The Directors of Elgin City Football Club have continued to discuss the present crisis facing Scottish Football and have carefully weighed up all the possible scenarios and their outcomes both for Scottish Football and Elgin City FC as a viable club. Board statement: "There should not be a special case made for any club and we believe that the proper place for a phoenix club to restart life is at the lowest level.